flows. 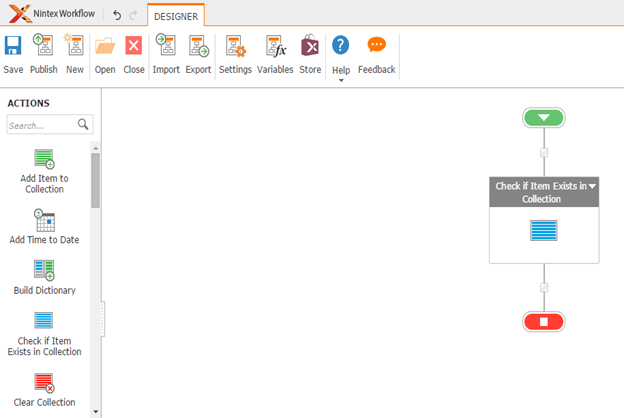 This article will display the action “Check if Item Exists in Collection” which can be used while developing Nintex workflows according to our requirement. Using this action you can check if any item which you want to search is present in the collection. Let’s see the implementation of this functionality. Add the action, “Check if Item Exists in Collection” either by right click on the workflow or by dragging and dropping from the left toolbox. You can provide the variable of the collection to search the results from. Here you can provide the value you want to search and also you can mention it’s type among them. Then you have the output stating True/ False with respect to the item present in the collection or not. So we can see that it is easy to search an item from the collection and according to the output, we can perform other actions. 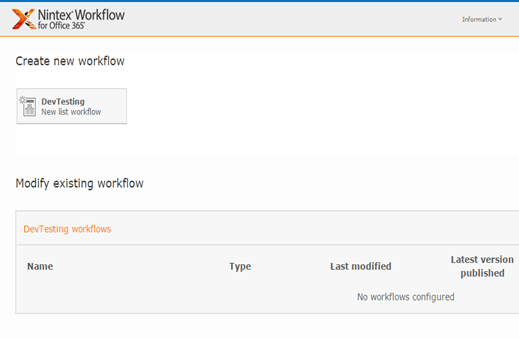 So in this article we saw how to check if item exists in Collection in SharePoint 2013 and Office 365 using Nintex Workflows, we will see more new articles on the actions of Nintex Workflows in the other parts of the article. Till then, keep learning.